An 18 yo male with nausea and vomiting. 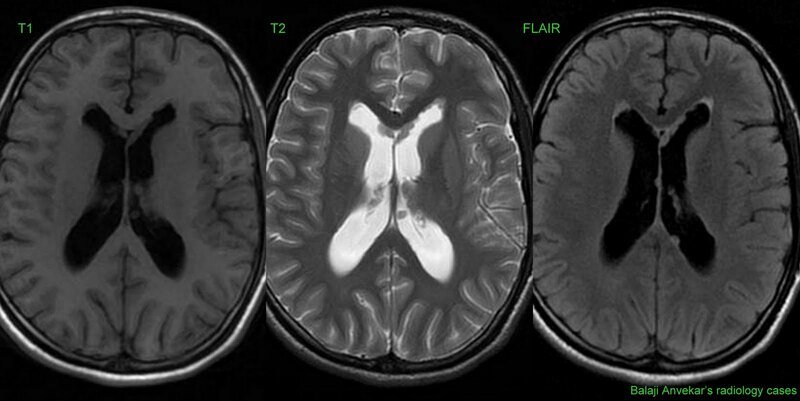 Here is his Non contrast CT Brain, MRI Brain Axial T1, T2, FLAIR, Diffusion, Post contrast T1w images at the level of posterior fossa with single voxel MR Spectroscopy at TE of 35 ms.
A well circumscribed ovoid intra ventricular space occupying mass completely occupying and expanding fourth ventricle, leading to mild obstructive hydrocephalus. Lesion is solid, hyper dense on CT with spotty calcification at the center. Signals isointense to cortical gray matter on T1 and FLAIR, slightly hyperintense on T2w images. No cystic component. No marked areas of necrosis. 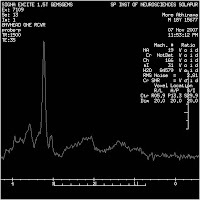 Restricted diffusion on MRI Dw images. Lesion is lobulated, mild heterogeneous enhancement on post contrast T1. 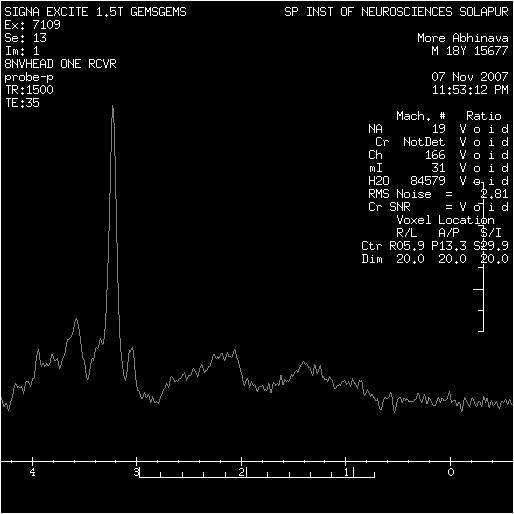 On MR Spectroscopy, no peak of NAA at 2.01ppm, no peak of creatine at 3.02 with long sharp peak of raised choline at 3.2ppm. Here are MRI Axial T1, T2 and FLAIR images with post contrast T1w images of same patient at the level of lateral ventricles shows multiple discrete enhancing nodules along ependymal lining of lateral ventricles, signal of nodules on MRI are same as that of the posterior fossa mass with same restricted diffusion. Imaging diagnosis : Medulloblastoma with Csf dissemination.